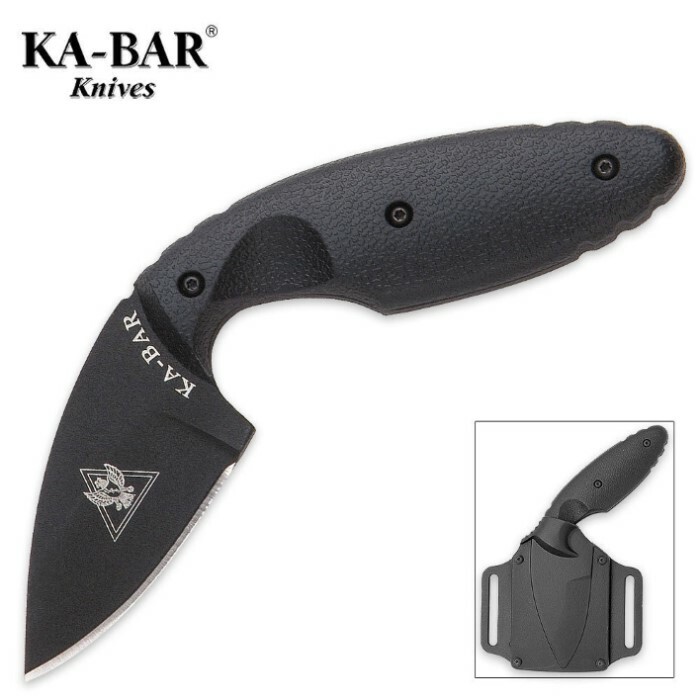 Razor-sharp AUS-8A stainless steel blade is 2 5/16"
In extreme close quarters encounters where a suspect is attempting to take an officer's handgun, or an officer cannot access his handgun, the TDI knife is available as a "last option" knife. When worn on the pant belt the entire unit - knife and sheath - is well concealed. Constructed from AUS 8A stainless steel with a 2 5/16" blade and 5 5/8" overall. Purchased this knife for personal defense. Great blade, sharp as a razor. I'd recommend using the belt clip set up if you're going to carry on your belt, as the paddle-style is a bit bulky. Awesome, awesome product! Great little knife. Can be used for close quarter self-defense. Pretty sharp.